Any musical by Rodgers and Hammerstein is an exciting theatrical event. THE SOUND OF MUSIC unites the famous team in one of their scores, one overflowing with an abundance of musical ideas of every kind, and full of melodic twists that only Richard Rodgers can bring. This instrumental setting of the score, splendidly played by Percy Faith and his orchestra, omits the sensitive lyrics of Oscar Hammerstein II, but so faithfully and imaginatively is the music presented that one can almost hear the words. (The original Broadway cast may be heard in Columbia’s recording on KOL 5450 or Stereo KOS 2020). 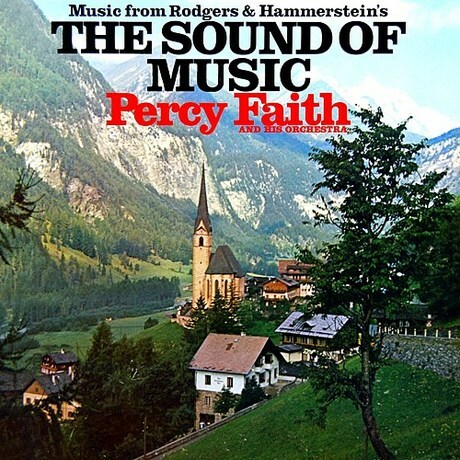 In this presentation, Percy Faith, already famous for his programs of music from “My Fair Lady,” “Kismet,” and other beautiful scores, has selected some of the highlights from THE SOUND OF MUSIC—the ballads, the cheerful tunes with overtones of Austrian themes, and all the rest—and brought them together in a delightful orchestral setting of one of Broadway’s biggest hits. Percy opens the album with the title song describing the impressions of Maria, a young postulant at the Nonnberg Abbey, as she rejoices in the beauties of nature and its music. This is followed by Maria, a sprightly tune sung by the Mother Abbess and her assistants as they wonder how to bring Maria into line with the religious life, and My Favorite Things is sung by Maria and the Mother Abbess as they remember a song both had known in childhood. The delightful Do Re Mi is a song sung by Maria to the children of Captain von Trapp, since the poor children have never learned to sing. (She has been sent to them by the Mother Abbess to become their governess.) No Way To Stop It is concerned with conformity—the world keeps spinning and there’s no way to stop it. It is sung by the Captain, his fiancée, and a friend. Climb Ev’ry Mountain, which closes the first act of the production, is sung by the Mother Abbess to Maria, as she tells her to reach out for the good things of life. So Long, Farewell is a tune the Trapp children learn to sing as they go off to bed. An Ordinary Couple represents the deep affection that springs up between Maria and Captain von Trapp; at the behest of the Mother Abbess, Maria leaves the Abbey and marries the Captain. The Lonely Goatherd is sung by Maria to entertain the children when they are frightened by a thunderstorm, and Sixteen Going on Seventeen is the charming song sung by the oldest Trapp daughter and her young village suitor. How Can Love Survive has an ironic twist; the question is posed as to how the Captain and his fiancée can possibly be happy, since they are both wealthy and have no problems to beset them. And finally, The Sound of Music is heard again, as it is woven throughout the production. The cover photo and liner notes are from a mid-1960s reissue of the Lp. Someday I'll scan the original Lp.